Paul W. Rebein has a passion for helping people. 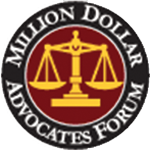 His 25 years of experience and deep understanding of the law empower him to fight for justice for his clients. 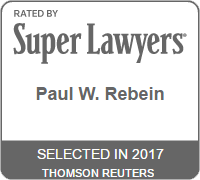 Paul has won and favorably settled thousands of cases, ranging from personal injury and auto accident litigation to high-profile civil rights lawsuits. Driven by his faith and a profound empathy for the people he serves, Paul is known for winning cases and and negotiating substantial settlements on his clients’ behalf. A graduate of the University of Virginia Law School and a Tampa resident for more than 15 years, Paul is at home in Tampa Bay. He also enjoys giving back to the community. Paul is married to Lori Rebein, an RN and Oncology Certified Nurse. The two enjoy spending time with family, running and traveling, including trips to Paul’s hometown of Dodge City, Kansas. 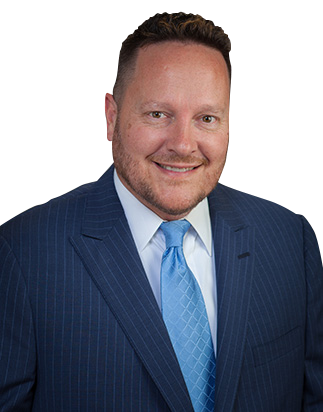 Paul is licensed to practice law in Florida, Missouri and Kansas. President, Call 4 Help Inc.
"We’re trying to create an environment where people are treated differently,” Paul says. Giving back to the community is an important part of it. So is empathy. “We give our clients equal footing with “the big guys,” says Paul, whose passion for justice drives him to take on cases that make a difference."